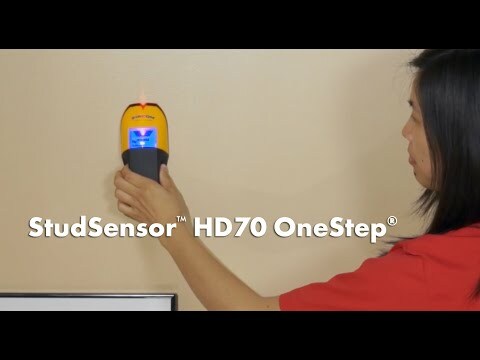 The StudSensor™ HD70 OneStep® stud finder features a bright, backlit LCD display and Target Spotlight that illuminates on-screen when you’ve found the center of a stud. A low battery indicator also informs you when your battery should be replaced for optimum performance. Two stud scan modes find the center, edges, and direction of wood and metal studs while also alerting you to the presence of live AC electrical wiring.